So, you decided to start running? Well, congratulations! The fact that you’re here is a clear sign that you’re off to a great start. One of the first things anyone who wants to venture into running must do is find the right pair of running shoes. It’s as important as having a plan or finding the perfect route. 1 Why can’t I just start running in my old all-round trainers? 7 How do I determine my pronation type? Why can’t I just start running in my old all-round trainers? You can, but most certainly shouldn’t. It’s very common to spot misguided newcomers running with a pair of all-around trainers, tennis, even basketball shoes and not see him again. Why? 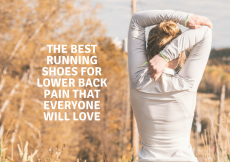 Mostly because they get hurt, and even those who are lucky enough not get blisters or grab an injury, will most likely end up completely destroying any other type of unfit pair of shoes. The thing is, other types of shoes are made for other types of activities. This means they could be flat, too heavy or simply not fit to withstand the constant pounding a running shoe does. Only running shoes are specially designed to give you enough stability to go forward, allow your feet to strike the ground properly and provide enough comfort and durability to last for as many miles you want to go. So unless you want your running to be short-lived, get a good pair of running shoes. If you’ve already done a quick search on the internet, you’ve probably noticed the large variety of running shoes available. For a beginner, it can be quite overwhelming. To the point that you might not even know where to start. But don’t worry, I will help you step by step throughout your quest, explaining every little detail you must know in order to choose and buy your first pair of running shoes. What if I told you the key to matching you with the right pair of shoes lies right at your feet? Yes, your feet (and the way they “roll”) can tell us a lot about the type of shoe you’ll be needing. To be more specific, every time you move forward your feet naturally roll inward for impact distribution upon landing. That movement is called pronation and our foot’s arch mostly determines the degree in which we pronate. That is why understanding to what degree you pronate, will help us pick the shoe that will allow you to run in the most comfortable way possible. In neutral pronation, your foot rolls inward in a normal 15%. This slight pronation allows your body weight it is evenly distributed in the front of the foot. It’s usually associated with people who have normal-size arches. Even though neutral pronators can wear pretty much any kind of shoe, neutral shoes are recommended. Overpronation happens when the foot rolls inward more than it should. This transfers your body weight to the big and second toe. It’s usually associated with people with low arches or flat feet. Stability and motion control and must limit the amount the foot can roll. The former for mild cases and the later when pronation is more severe. Underpronation, also known as supination, occurs when there is little or no roll and your body weight goes towards the smaller toes on outside of foot upon impact. It’s usually associated with people with high arches. Neutral shoes are a must for people with this type of pronation. Especially those with enough cushioning. How do I determine my pronation type? There are many complicated tests that experts can conduct to determine your pronation type, but the simplest way is by checking your wear patterns. Just grab a pair of old shoes and examine wear it shows the most wear. A supinator shoe will show most of it’s wear on the outside. Also, when the shoe may tend to slightly tilt onwards when placed on a flat surface. On the opposite, an overpronator shoe shows most of it’s wear on the inside, especially on the inner side of the heel and under the big toe. When placed on a flat surface, the shoe will tilt inwards. On the other hand, a neutral pronators shoe will show wear from the big toe towards the outer side of the heel, forming an S pattern. The shoe will not tilt on a flat surface. Another quick method is the “wet foot” test. Simply grab a piece of cardboard, lay it flat on the ground and walk over it with your feet wet. The wet imprints will show you your arch type, letting you match if with the type of pronation. If you have higher arches – or just suffer from arch tenderness – narrowing your search specifically to arch support shoes can help. Metatarsalgia is a very common condition specifically among athletes and those who regularly participate in high intensity sports / workouts. Thankfully, there are some specific recommendations we have for the ideal footwear here. While hip pain could indicate a WIDE array of different issues (be sure to see a professional! ), there are some specific running shoes that may help alleviate pain / overcompensation in the hips. Heavier runners do not need to compromise on account of weight. There is actually a surprisingly large category of heavier runners, seeing as running is a great way to kick start a weight loss routine. However, shoe requirements are definitely key (including ankle support, wider soles and arch support). Believe it or not, Vegan running shoes are among the fastest growing vertical in the running space. If you care about the ethics of food consumption, it follows that you should similarly care about products like running shoes with some of the same concerns. Similar to minimalist running shoes (zero drop shoes can also be minimalist shoes but not always), Zero Drop running shoes typically are characterized by having minimal heal “drop” and extra cushioning along contact points. Neutral shoes on the other hand offer a balanced, cushioned approach. 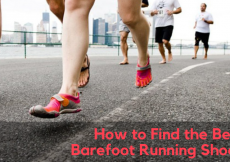 With all of the “specialized” running shoes out there, finding an all around neutral shoe is actually harder than it sounds. The outsole of the Zante v3 features a hexagon pattern, which gives the shoe stability and responsiveness. It’s made from a combination of different rubbers to allow good traction and makes it durable. Its midsole consists of a single firm and responsive piece of foam. 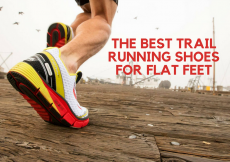 It runs the entire length of to provide a good heel-to-toe transition. This shoe features an engineered mesh with big openings that offers good support and flexibility while allowing excellent breathability. It also comes with a comfortable inner sleeve and cushioned tongue and collar for extra support. The Zante v3 is extremely comfortable, very breathable and light on the feet, which are all features a beginner should consider. This shoe features a considerable amount of reflective details, which is a big plus for low-visibility running. When compared to previous versions, the Zante v3 can be a clear upgrade, since it’s still very light, while being more stable responsive and efficient. The fact that it comes in different widths makes it more likely to find a good fit. With the Zante v3 you won’t have to sacrifice style for performance, as it’s known to get its fair share of attention. Most reviews for the Zante v3 are remarkable, even a bit exciting. A sure candidate for the shoe of the year. It offers no protection from harsh terrain, as this shoe was designed specifically to run on roads, tracks or treadmills. Some may find the Zante v3 to be a bit smaller and narrower when compared to prior models. But considering that optional widths are available, this should not be an issue. Also, a handful of reviewers had concerns about the shoe’s quality and performance when compared to the original Zante. This shoe’s outsole combines a durable high abrasion rubber with blown rubber. These materials are distributed in different areas of the outsole to offer comfort and protection from the foot’s normal impact upon the surface, while fully supporting the arch to provide stability. It’s also known to deliver enough traction to run in harsh terrain. Its midsole includes a mixture of foam, gel, and TPU material. This mix makes it durable, comfortable, responsive and lightweight cushioning, but with enough firmness to deliver its intended stability. Its seamless construction of engineered mesh and overlays offer an adaptive fit that gives the runner support and flexibility while being light and highly breathable. It also features a sock liner, that’s designed to add comfort and keep the foot dry. The Kayano line is considered the brand’s flagship when it comes to stability shoes. That’s exactly what you’d want if you happen to be a mild overpronator. It’s highly regarded for being a comfortable and well-cushioned shoe. The Kayano 23 is lighter and provides more support when compared to previous models. 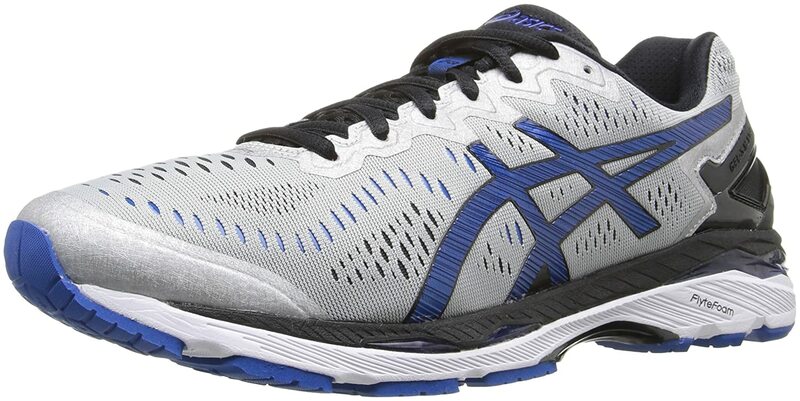 It offers the same midsole as the Kayano 24, but at a much lower price. It’s not the latest in its line. When compared to the latest model, the Kayano 24, the most notable difference lies in the upper portion. The different designs make the Kayano 23 narrower and a bit heavier. The Kayano 23 can be a slightly stiffer when compared to previous models. It’s known to present early durability problems. 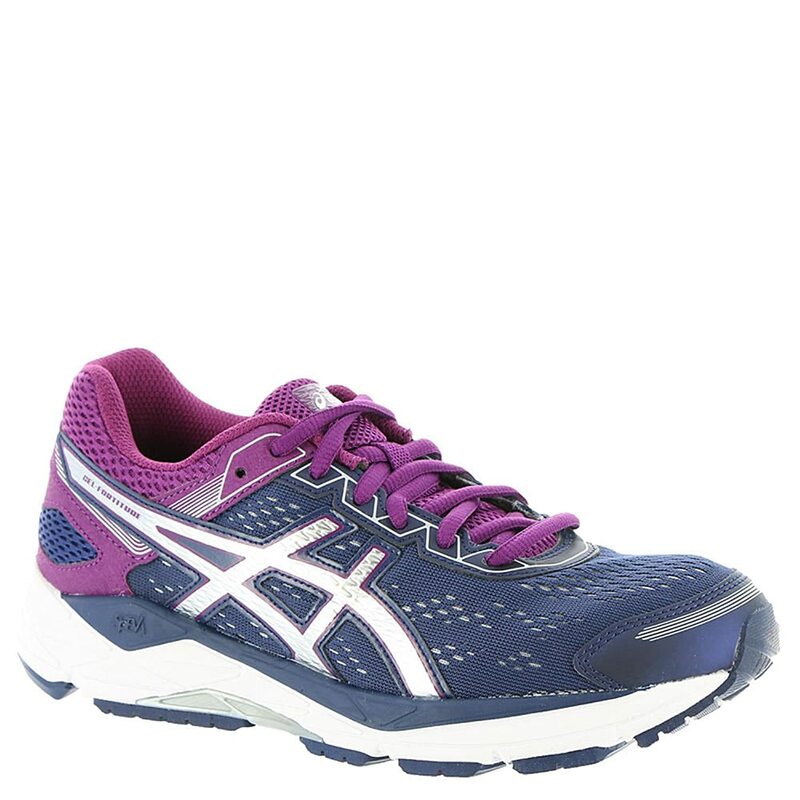 As with most Asics shoes, its outsole combines high abrasion rubber with blown rubber. Both materials are meticulously distributed to offer durability, protection and stability, while being comfortable and flexible. The midsole combines lightweight foam and cushioning gel. The former makes it durable, while the later adds cushioning in strategic areas for extra comfort and impact protection. It also comes with a resin-based guidance line to give the runner additional support and enhanced stability. The upper mesh is made with a seamless, yet quality mesh, that allows great breathability. It also features a sock liner that’s designed to provide extra cushioning and moisture control. As a motion control shoe, the Fortitude 7 is specially designed for moderate to severe overpronators. Its wide forefoot platform makes it an excellent option for people with flat feet or who may need to use orthotics. 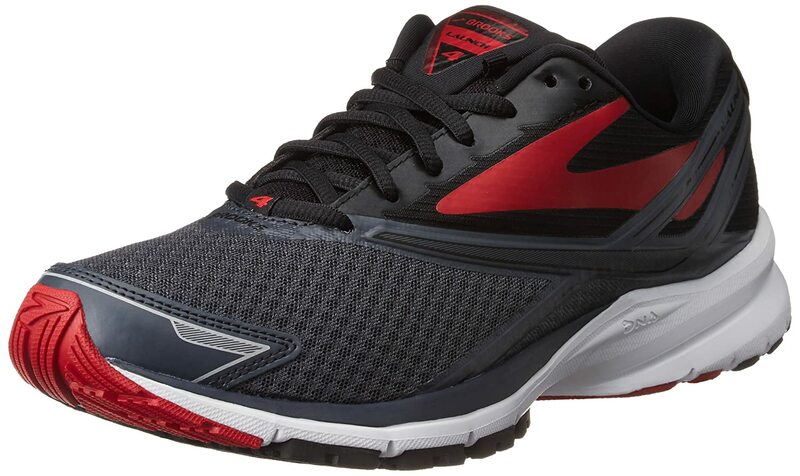 Opposed to other motion control shoes, the Fortitude 7 offers a low stack height. This is a big plus, as it gives the option to all those overpronators who dislike enormous shoes. Its price is quite reasonable, considering motion control shoes are expensive. This shoe is surprisingly flexible and responsive, despite its amount of cushioning. It’s also known to provide good traction. Being a motion control shoe, the Fortitude 7 is still quite heavy. Its upper mesh makes it unsuitable for cold weather. This shoe might not be as durable as intended if used on harsh terrain. You may need to consider a second pair of shoes or go for a more expensive option in the long run, as It’s not ideal for long distances. It’s made with a combination of hard (carbon-based) and soft rubber. These materials are carefully distributed to give the shoe support and stability while being comfortable and flexible. It combines 2 types of compression molded foam to make it durable, responsive and flexible. Also, this shoe comes with a special plate that adds more bounce, while keeping it lightweight. The overall design of the midsole allows the runner a better transition from heel-to-toe and a smooth and comfortable ride. Its combination of mesh, urethane, and synthetic leather make it adequately breathable and comfortable while keeping it lightweight and adding support. It also comes with an antimicrobial sock liner. This feature not only keeps the shoe dryer and cleaner but also adds extra cushioning. The fact that the Mizuno Wave Rider line has reached its 20th iteration, shows just how good this shoe is. This shoe manages to be very flexible, responsive and light weight, while having enough cushioning to meet the needs of heavy runners and supinators. It’s versatile enough to work for long runs, as well as for sprinting. The Wave Rider 20 has its fair share of praise on the visual side, mostly due to its large variety of colors. On the personal side, the Mizuno Wave Rider was my first pair of running shoes and I still haven’t tried any other shoe like it. I highly recommend it. 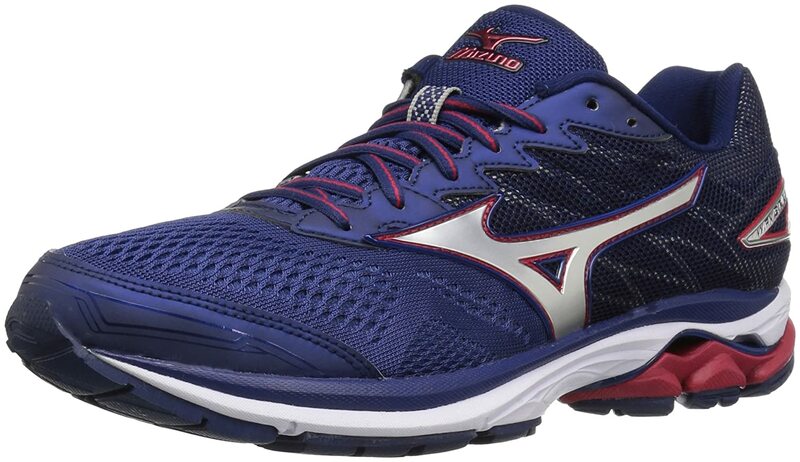 Even though the Wave Rider 20 is not as expensive as other Mizuno shoes, can be a bit pricey for a beginner. The shoe’s durability may be compromised if used on harsh terrain. Some people may have concerns about its fit, performance or might just not acclimate well to it. Remember, no one shoe fits all. The outsole is made mostly of blown rubber which gives the shoe flexibility. It also includes a bit of carbon rubber in high-abrasion areas to make it more durable. It comes with adaptive cushioning that proves to be superior when compared to similar technology. It’s flexibility and smooth heel-to-toe transition offer the runner comfort. This shoe’s upper portion is made of a flexible air mesh material that allows high breathability and keeps the foot dry. It also features 3D overlays for support and thick tongue and laces for a comfortable fit. The superior cushioning and flexibility offered in the midsole help prevent injuries to joints that suffer the most impact. For its price, this shoe is considered a real bargain considering its performance and durability. The Launch 4 is versatile enough to handle from daily training to high tempo runs. Even though Brooks shoes are not known for their appealing styles, the Launch 4 breaks the mold with a sleek look in different color combinations. Overall, this shoe offers enough satisfying features to make it a clear contender for shoe of the year. Some might find problems with the fit, as it may run a half size smaller and offers no optional widths. Those accustomed to previous Launch models may feel the midfoot area to be a bit stiffer. Let’s face it, we all want to look good while we run. Styles and colors play a huge role when buying a pair of running shoes, whether we want to admit it or not. But when you’re planning on taking on an activity that involves many arduous miles of constant pounding to your feet and joints, you better count with the right pair of shoes. It’s important always remember you’re buying a pair of running shoes to help you run. Not to go to work, to match with your jeans, strolling through the mall or simply look cool wearing them. So it’s crucial to keep your priorities straight and pick running/feet type, comfort and fit over style. No matter how marvelous the shoes you picked are, they won’t be right for you if they don’t fit. For the shoe to do its job, it must have the correct length, width and volume for your feet. So take your time to try the shoes on for fit. Look for a pair of shoes that’s not too small or tight in the toe box, that feels snug enough in the heel and in the midfoot area to prevent slippage, but doesn’t cause irritations or any kind of awkward sensation. Also, never assume your foot size. Keep in mind that sizes may vary between brands and even between models within the same brand. I know online deals can be quite tempting, but I can’t stress enough the importance of a good fit. The internet is full of reviews from unsatisfied runners who thought they ordered the perfect pair, only to find the shoe just didn’t match their foot size or shape. Don’t make the same mistake. So before buying, try visiting local running specialty shops and ask for the pair you’re interested in. If they are available, try them on and run around the store. This way you will be sure you know what you’re getting. A common mistake people make while buying a pair of running shoes is trying them on in the morning. As your feet normally swell as the day goes by, you’ll be left with a pair of shoes that feels tight and uncomfortable most of the day, and no runner wants that. So the trick is to try them on in the evening when your feet have reached their maximum swelling point. This will guarantee a perfect fit. Unfortunately, this is as far as I can take you. 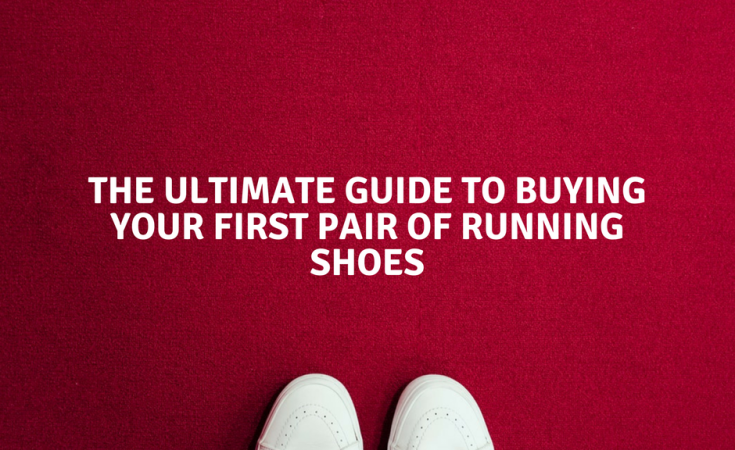 As promised, I’ve meticulously guided you through every little detail you need to know in order to find your first pair of running shoes. Plus, I’ve given you my honest recommendation as to what the top shoes are depending on your needs. But In the end, the decision is yours and yours alone. Only you can decide which is the perfect shoe for you. If it were up to me, I’d put every runner into a pair of Mizuno Wave Riders. But even though they are perfect for me, they might not be to everyone’s liking, because there’s simply no perfect shoe that magically fits all runners. Just remember to match the shoes with your running style, look for the best features for a comfortable ride and never forget to try them on before you buy. Brooks Ghost vs Adrenaline: The Ultimate Brooks Showdown! The Athletic Foot Copyright © 2019.